You’re pretty heavily booked for the next few weeks and suddenly you have to deal with hotel water damage restoration, fire, or smoke damage. Even without the time pressure of getting rooms re-opened, you know that without immediate action you’ll be facing even more destruction. When things go beyond what your staff can promptly and properly handle, you can count on Restoration Masters’ water and fire damage restoration experts in Los Angeles. We know that in addition to lost revenue your downside could include a big hit to your reputation for group events. We’re ready 24/7 with an immediate response for prompt as-promised arrivals and work shifts 24 hours a day. Our experience in hotel and motel disaster restoration in Los Angeles includes guest rooms, hallways, laundries, restaurants, meeting and conference areas, atriums, and more. Our emphasis is on preventing secondary damage such as the need for mold remediation. We’ll isolate our work area so that you can continue operation wherever it’s safe to do so, and get you back to full operation as soon as possible. Water damage in hotels can come from a variety of causes such as roof and plumbing leaks, fire sprinkler activation condensation, occupant negligence, and outright pranks. So we kick off our motel water damage cleanup with an inspection to determine the root cause and to lay out a detailed plan of action. Depending on the scale, that could range from carpet cleaning and lifting for faster drying to flood damage reconstruction. Our certified restoration technicians are ready with all the latest equipment for water extraction, dehumidifying, and thorough structural dry out. They’ll take care of the building as well as upholstered furniture and other contents. Experienced in flooding situations in basements, parking structures, and crawl spaces our crews are also well prepared dealing with wood rot, mold and mildew, and peeling paint from long-neglected leaks. 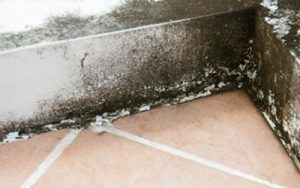 Besides driving away guests, mold poses significant health liability risks with regards to guests and employees alike. Not needing light to grow, the biggest part of a problem can be completely out of sight. Our licensed mold removal specialists follow all IICRC, EPA, and OSHA guidelines to keep everyone safe and mitigate against regrowth. They’ll also neutralize odors to get rid of that familiar musty smell. 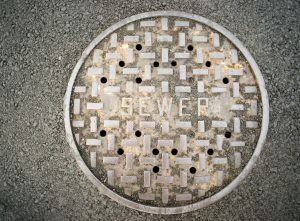 Our certified antimicrobial technicians are also ready for other biohazards such as a sewage backup where worker protection, area isolation, and absolutely thorough cleaning and disinfection are paramount. As with mold remediation, porous materials that have come in direct contact must be discarded, so our professional services include replacement repairs along with proper transportation and disposal as hazardous wastes. Even a small blaze can lead to extensive fire & smoke damage that calls for expert fire restoration services. Whether starting in a guest’s room, restaurant, laundry, or other areas incidental damage quickly spreads far and wide. Even with a limited scope the fire damage restoration process can be extensive and technically challenging. After tarping and board up structural, water, and smoke damage must all be dealt with. That might include soda and dry-ice blasting to remove char and smoke from building surfaces along with specialized pre-cleaning for furniture, pack out, and treatment. Soot and smoke pose extensive and difficult problems, often throughout the entire building. In a grease or electrical fire smoke damage may be the only damage other than that of the electrical gear itself. Mitigation requires immediate soot and smoke removal with specialized equipment and cleansers before corrosive, toxic, odor-causing compounds have time to do lasting harm. Our preventive measures include air scrubbers to remove lingering particles that would otherwise settle on flooring and furniture. 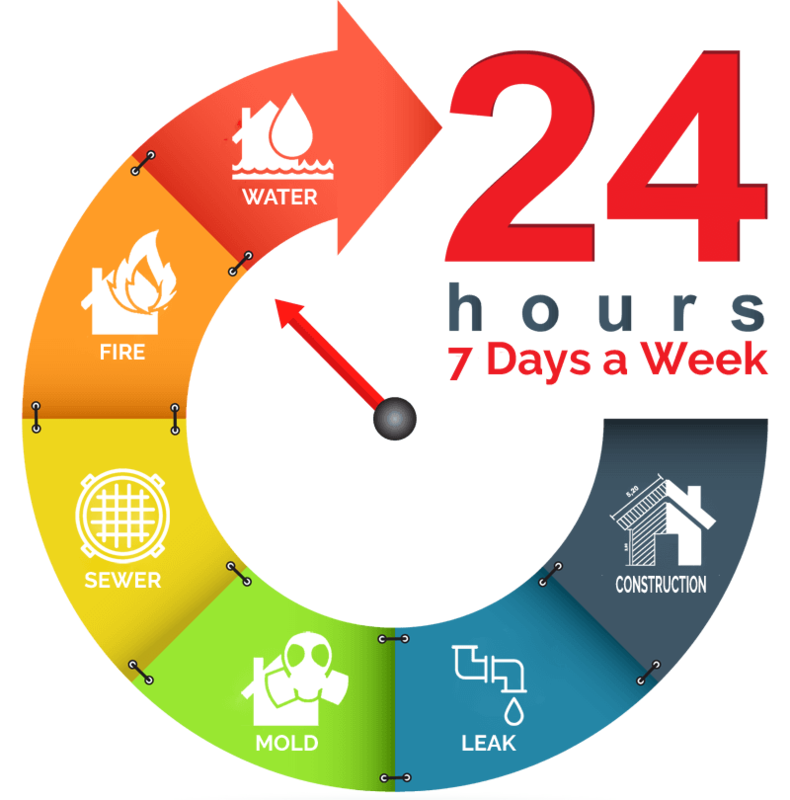 In as little as a day or two sewage, mold, and fire odors can penetrate deeply into surfaces and reach inside the building structure to where they can linger for week, or even years in the case of smoke odors. So we also deploy ozone generators and other equipment to safely break down smelly compounds, completely neutralizing odors wherever they might be hiding. In disaster restoration, restore versus replace decisions usually leave you with damaged as well as undamaged contents such as furniture that need to be removed from damp and contaminated conditions. That can be to another on-site location, or our pack out services can take them to our climate-controlled facility for dry cleaning, spray and wipe, foam or immersion cleaning and other treatments. You’ll receive a complete POI (pack out inventory) and we’ll provide secure storage until it’s time for their return. 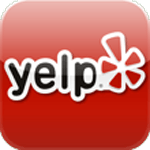 In addition to relatively minor repairs such as carpet cleaning or replacement along with drywall repairs our skilled and experienced crews can take care of complete reconstruction projects, emergency permits through final inspection and debris haul away. Insurance policies have coverage specific to hotels and motels, which may or may not have flood riders. So once you’ve made your way through the current situation it’s important to carefully review your present policy and make any appropriate adjustments. We don’t know of any insurance that will pay out a claim for something that was preventable. So make sure that your cleaning and maintenance staff keep a watchful eye out for leaks, mold, humidity, signs of water damage, and fire hazards. Guests rarely report these until they’ve already a major problem. We’re leaders in full-spectrum damage restoration services throughout Los Angles and beyond, always ready for short-notice round-the-clock emergency work. With highly trained certified technicians and inspectors, experienced project managers and construction crews, and the latest in equipment and industry best-practices we’ll halt further damage and restore indoor air quality within hours. And get you back in full operation as quickly as possible. We’ll work directly with your insurance company and adjuster, and bill them directly so that you can focus on your motel and hotel rather than paperwork and coordinating multiple contractors.